Instant constellations is the name of a series of work that I started to make in 2010. All that works are site-specific installations that reproduce the vault of heaven in a specific time and place. 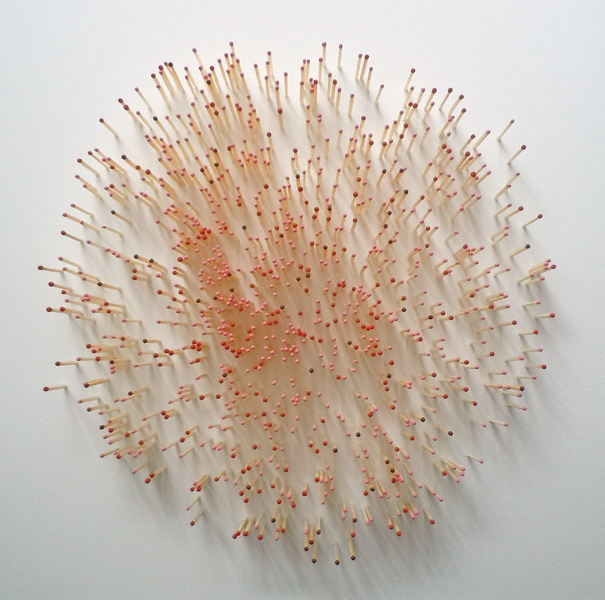 They consist of hundreds of matches, one for each star that compose the visible constellations. I used different colours depending on stars brightness: the more brightness the star has, the more dark is the colour. 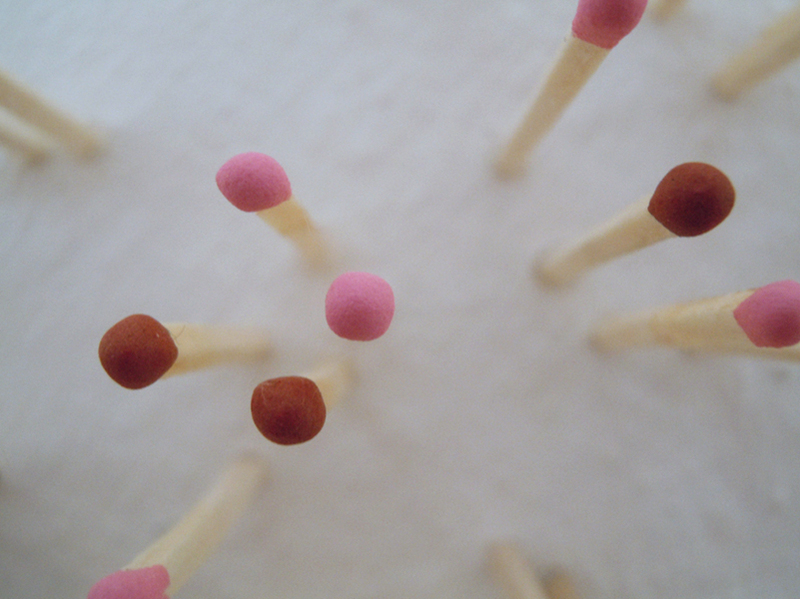 The matches compose a fragile architecture that can burn in few seconds, but the installation is apparently innocuous and everlasting. In the same way, we’re used to think that stars are something eternal, just because its lifetime is 50 million up to 12 milliards of years (something senseless for human mind). But time is a relative idea, that depends on the reference system. Some philosophers believe that time is the indetermination itself; they think that the feasible is more than reality and reality is the mirage of the feasible. And so the Big Bang is not a ‘begin’ in the past, but a ‘limit’ of possible configurations’ space. We saw some stars which could no longer exist. But, if what seems real is nothing but an elaboration of information, then the question about time leads to the question about existence. And the distance between physics and metaphysics gradually decreases.